Snow clings to the jagged sides of Devils Tower National… – Sig Nordal, Jr. 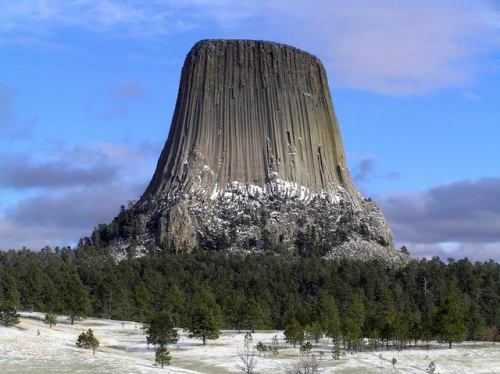 Snow clings to the jagged sides of Devils Tower National Monument in Wyoming. This astounding geologic feature is considered sacred to the Northern Plains Indians and other tribes, who call it “Bear’s Tipi” or “Bear’s Lodge.” Winter activities include hiking and cross-country skiing, but a word of caution: trails are not maintained during the winter months. Check out more amazing photos of public lands in winter: https://on.doi.gov/2Bt6ijV. Photo by National Park Service.